Perhaps no other brand like SIDI, has continued to remain such a prominent fixture in the cycling shoe segment. Indeed, over the years SIDI has been at the forefront of cycling shoe technology, which has involved everything from construction and materials, to revolutionary carbon soles, buckles and closures. 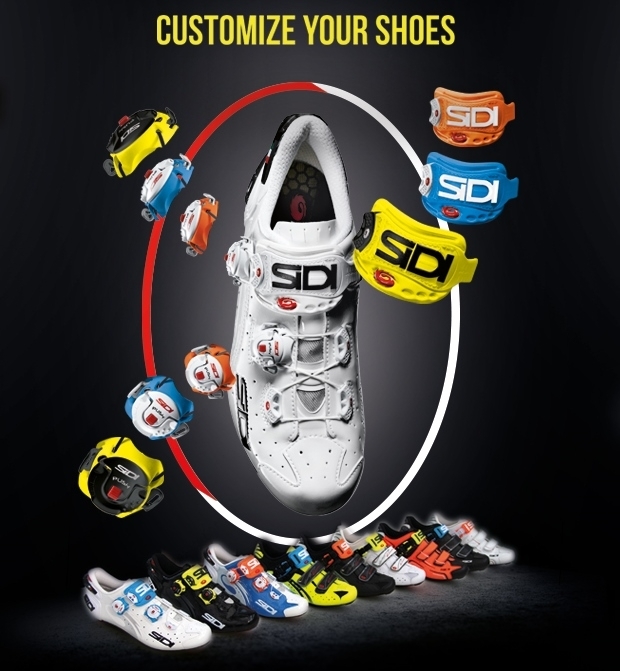 Now, SIDI has decided to top things off with a new customization process that allows everyone from individual customers, to full-on cycling teams, to stylize their footgear to their liking, with an array of interchangeable straps and dials. 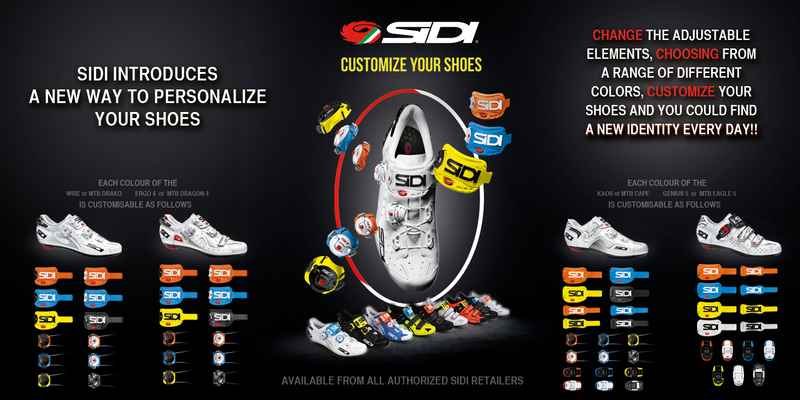 Better still, SIDI has extended the customization process to most of its range of shoes. Boring cycling shoes be damned! Sidi has always been attentive to the needs of our clients and motivated by a constant desire to innovate. Now we have introduced the option of customizing your very own cycling shoes. A wide range of Sidi parts are now available at the finest bike shops, making it possible to come up with an infinite number of ways to create original custom designs for individual shoes. With just a few simple moves using appealing, colourful accessories and parts, you will be able to change the look and style of your Sidi shoes every day, matching them to the graphics and designs of your clothing, your bike or your mood. Unleash your imagination and let your creativity run free! The following road cycling models feature the custom option: Wire, Ergo 4, Kaos and Genius 5. The mountain bike line also features this custom option on the following models: MTB Drako, Dragon 4, MTB Cape and MTB Eagle 5. 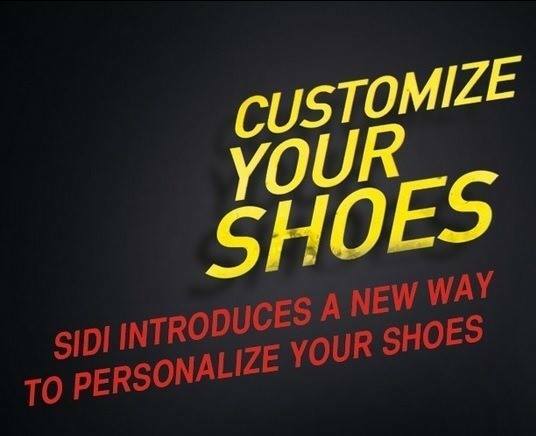 Visit our website www.sidisport.com, and discover all the options and solutions available to customize the various Sidi models for an incomparable, creative and original look.